The Pittsburgh Pirates have placed National League saves leader Jason Grilli on the 15-day disabled list with a right forearm strain. Grilli travelled to Pittsburgh Tuesday and will be examined by team doctors. The Pittsburgh Pirates have placed National League saves leader Jason Grilli on the 15-day disabled list with a right forearm strain. 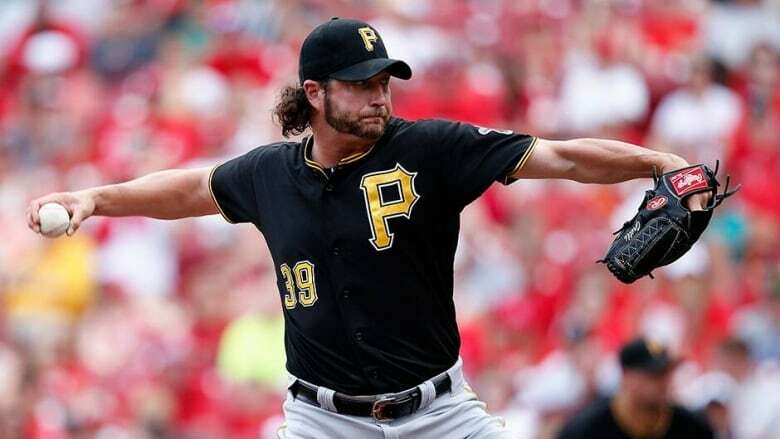 Grilli, who left Monday night's game at Washington in the ninth inning with discomfort in his forearm, travelled to Pittsburgh Tuesday and will be examined by team doctors. The All-Star right hander is 0-1 with a 2.34 ERA and 30 saves. Manager Clint Hurdle said Mark Melancon (2-1, 0.97, two saves) will assume the closer's role in Grilli's absence. The Pirates plan to recall right hander Vic Black from Triple-A Indianapolis, where he's 1-2 with 15 saves and a 2.31 ERA. Pittsburgh also activated second baseman Neil Walker, who had been on the disabled list since July 7 with right side soreness, and designated infielder Brandon Inge for assignment.